The day was going surprisingly well for me until I had to stop for a train on San Antonio Ave. in downtown New Bruanfels. My plan was to make it out to a local sammich shop I’ve been meaning to check out for a while and take in as much of the Ron and Fez show while I drove to and back from Cravings(sammich place). Right before Ron was about to break for commercial, someone called into the show just before 11:45am and said he had a “spy report”. A re-occuring segment on the show where callers call the show to drop info on a story before it breaks. I sat in total disbelief, while Ron Bennington found a way to communicate what I couldn’t seem to get out of my out. I forget what he said but he wished that the news was only a rumor and the call ended. I grabbed my phone did a google search… i found nothing. i checked twitter… nothing. I grabbed lunch, sat down - hit google again on my iPhone and Rolling Stone confirmed the story. 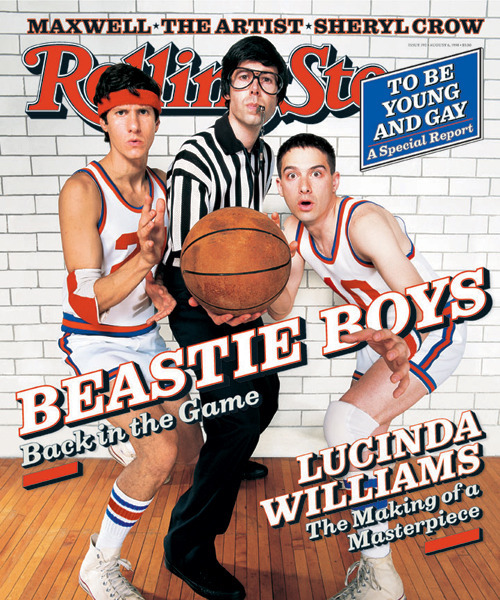 I’ll be the first to admit that the Beastie Boys were an odd fascination of mine growing up. It seemed like they blew up at the same time my family finally got around to paying for extended cable. I didn’t really care for them that much until I saw Kerry King (of Slayer) in the - No Sleep till Brooklyn - video on MTV. Slayer was a band I sorta knew through their album sleeves, but I never had the balls at the time to buy their stuff, in fear that my parents would die if they saw me spinning a record titled Hell Awaits. That video made me stop thinking of Slayer as a band that would cause a gate of hell to open from my closet if I brought it home… but as a band that would be as harmless as the guy who’s next to the dumb guys in parody videos. It occurred to me this afternoon that the Beastie Boys have been a gateway of sorts for my interests in countless bands, pop culture references and social causes. They got me into bands like the Bad Brains and they made me lust for the taste of White Castle fries… all before the age of 12. It almost felt like they invented hipsterdom too. MCA, in my opinion was always the real heart of the trio. I can’t imagine how hard this must be for those who really knew him.